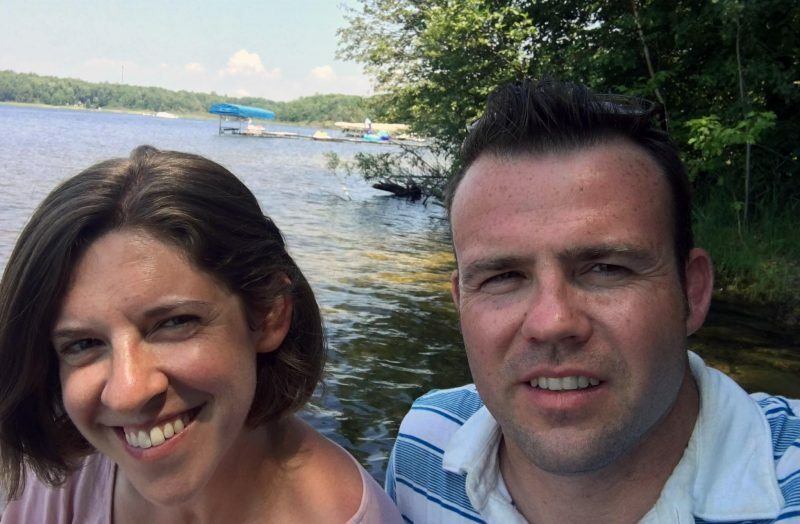 Our new pediatric emergency medicine physician Dr. Edward Beatty and his wife, Whitney, on vacation in Michigan. Growing up Dr. Edward Beatty was a daring little boy, which always seemed to translate into injury during play. Whether it was the time he broke a bone or gashed his leg wide open, his father would tell him time and again to rub some dirt on it and get back out there — no matter how severe the injury. 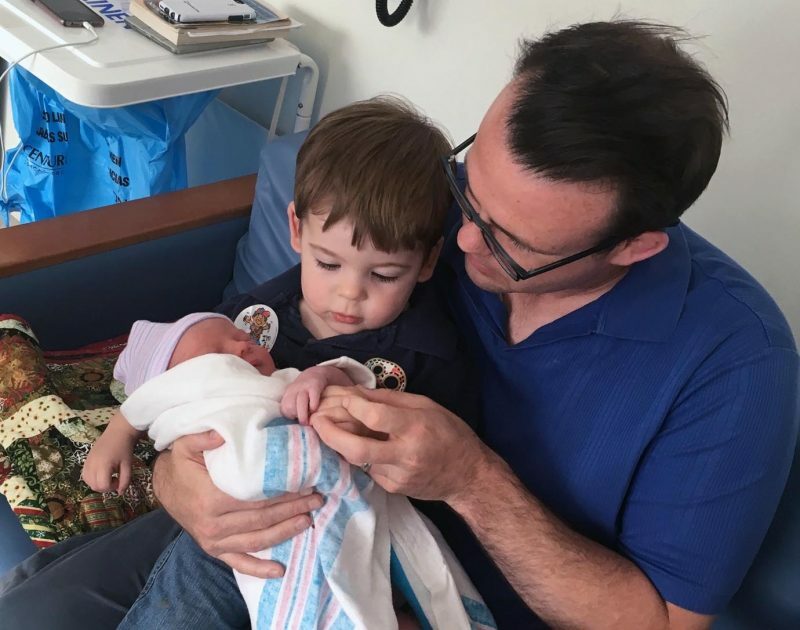 Though he admits it still rings true for some minor injuries, he’s honed his father’s advice for any urgent situation as Akron Children’s new emergency medicine physician. As an expert on acute-care scenarios, whether it’s a poisoning or overdose, severe asthma or allergy attack, or a head injury, he quickly mobilizes his staff to ensure he’s stabilizing and saving the lives of brave little boys and girls everywhere. I act most like Ron Swanson from Parks & Rec. I would look more like him, but my wife refuses to let me grow the mustache. I would be meat. Next question. The image of Dr. Beatty’s wrestling persona, Beef Supreme, was designed by a friend for Father’s Day. His Instagram handle is beefsupreme55. I am almost always woken up by my toddler, so the first thing I do when I wake up each morning is roll over and try to go back to sleep, while a 2 year old sits on my head. Dr. Edward Beatty and his son welcome Josephine to their family.What song do you know all the words by heart? My dad always told me to rub some dirt on it. It was the first medical direction I ever received, and it was given in response to every early injury, regardless of severity. 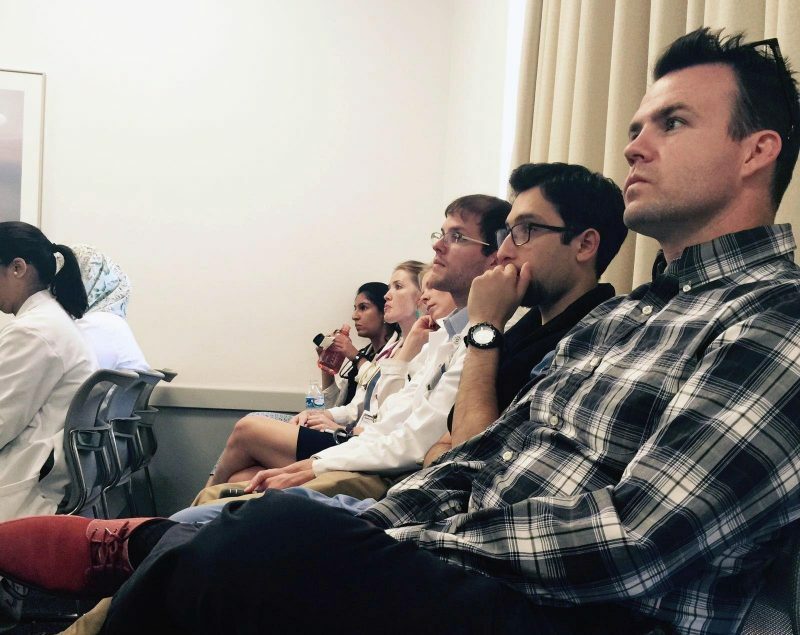 Dr. Beatty at a lecture with fellow residents.Do you dunk your Oreos in milk, lick off the icing, eat them as they are or avoid them altogether? This is really important to me as I’m teaching my son this right now. The proper way to eat an Oreo is: Twist off top, lick the icing once, reassemble and dunk in milk. What’s your favorite movie/ book /TV show/sports team? I am a diehard Cleveland Browns fan because I like to torture myself. I was a dishwasher at an Italian Deli run by an old Polish man, Minillo’s on 615 in Mentor. I brew my own beer and am currently growing hot peppers to attempt to make my own hot sauce. 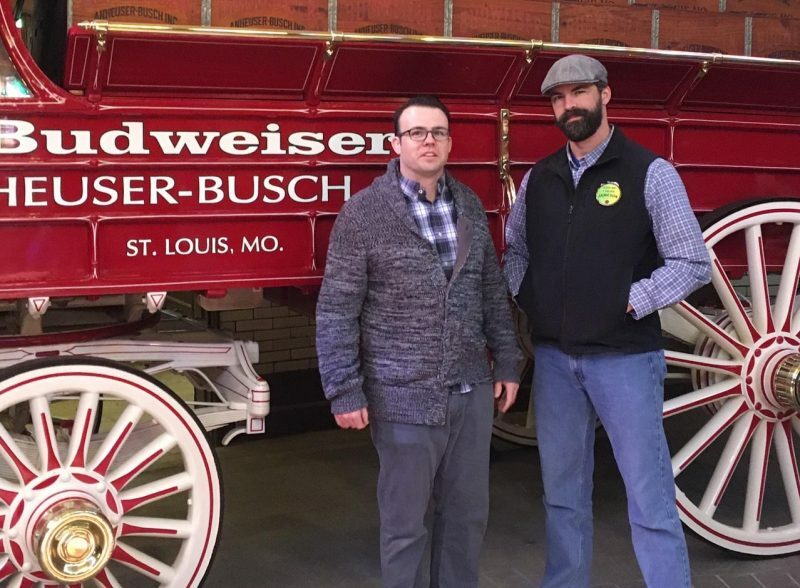 Dr. Beatty on the Budweiser tour with a friend.